Visitors, walkers and knitters at The Place community hub in Thorpe St Andrew have been joining in the 1000 Hours revolution of kindness. The Place recently held a Try-It workshop day for visitors to try out a variety of craft activities. 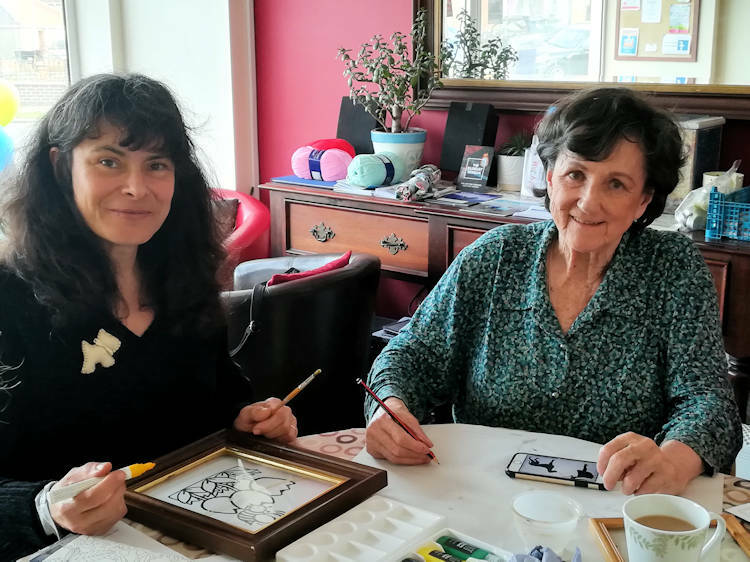 They had the chance to make felt brooches, inspirational postcards and gratitude boxes or try glass painting or knitting. Everyone was given a painted postcard and chocolate to take home. The central Norfolk Walking for Health Group regularly visit the community centre, run by Gateway Vineyard Church, after their monthly walks in the area and enjoy tea, cakes and fruit. 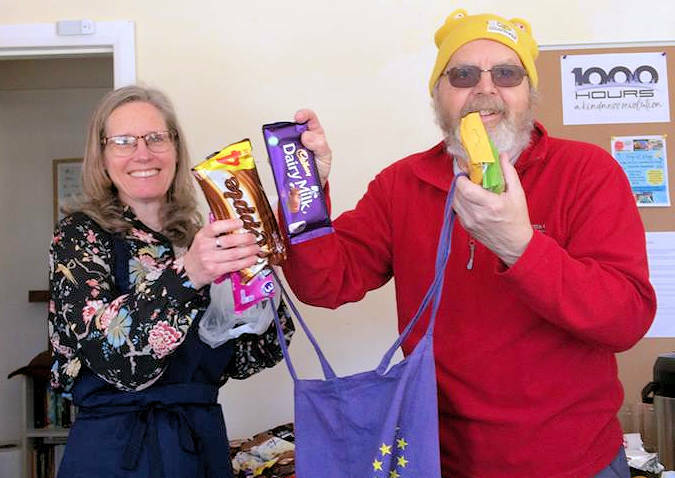 They helped the Place collect almost 270 chocolate bars to be given to nurses, teachers, paramedics and other during the 1000 Hours campaign. Pictured below is Bryan from the walking group with Place co-ordinator Sarah Avey.